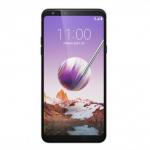 Home » LG » LG Q Stylus Advantages, Disadvantages, Review – Stunner !!!! LG Q Stylus, a mid-range smartphone launched into the market. So, check out LG Q Stylus advantages (Pros), disadvantages (Cons), problems and drawbacks/defects before purchasing. Currently, it is not yet released to the market. LG Q Stylus comes with latest Android OS, v8.1(Oreo). It offers 6.2-inch IPS LCD capacitive touchscreen with a good screen-to-body ratio of 80.2% and Multitouch in it. Its display has superb pixel density for its Quad HD resolution(~389 PPI) with 18:9 aspect ratio. LG Q Stylus comes with Stylus feature. The device built with an aluminum frame. The device weighs about 171 g and 8.1 mm in thickness. It supports only single SIM(Nano SIM) or Dual SIM(Nano-SIM, dual-standby). It provides 3 GB/4 GB of RAM for uninterrupted multitasking. LG Q Stylus has equipped with MediaTek MT6750 Chipset and the performance is good with no lags. It encompasses with Octa-core processor and Mali-T860MP2 GPU and the gaming performance is moderate. Brings an internal memory of 32 GB/64 GB and expandable memory is supported up to 512 GB (uses dedicated slot). It offers Single 16 MP(PDAF) rear camera with additional features like LED flash, HDR, panorama. It offers Single 8 MP or 5 MP(Q Stylus/Q Stylus+) front-facing camera. 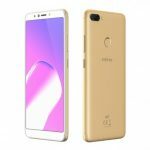 It has the battery capacity of 3300 mAh(Non-removable) which is good for heavy usage and supports Fast battery charging. It offers great loudspeakers with DTS-X sorround sound. It is available in Aurora Black, Moroccan Blue, Lavender Violet colors to choose. 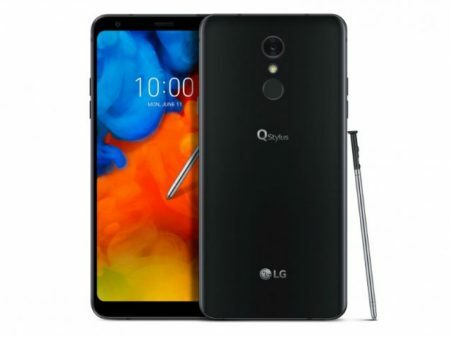 LG Q Stylus supports additional features like Active noise cancellation with dedicated mic, IP68 certified Water and dust resistance, MIL-STD-810G compliant. Good one from LG !!!! Infinix Smart 2 Advantages, Disadvantages, Review - Good One !!!! LG Q Stylo 4 Advantages, Disadvantages, Review - Stylus in Budget!! LG Zone 4 Advantages, Disadvantages, Review – Budget Smartphone ! !